For thousands of years, the valley of healing waters, called "wiwila kata" by the Lakota (meaning warm waters), was prized for the warm spring-fed river. Both the Lakota and Cheyenne utilized the natural river of warm water springs that flows through present-day Hot Springs. In 1881 the spring was held by Joe Brimdschmidt. He traded the spring to Joe Petty for a horse valued at thirty-five dollars! Petty then sold the Plunge Springs to Dr. Stewart who filed on the surrounding land. 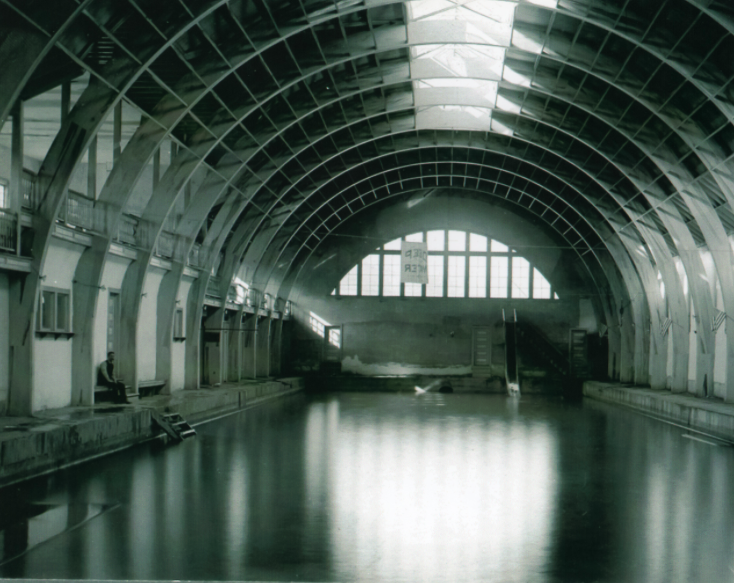 Mineral springs sought as a cure-all. Finally, Evans Plunge (named after its builder Fred Evans), was built in 1890 over the numerous small, sparkling springs and one mammoth spring of mineral water. 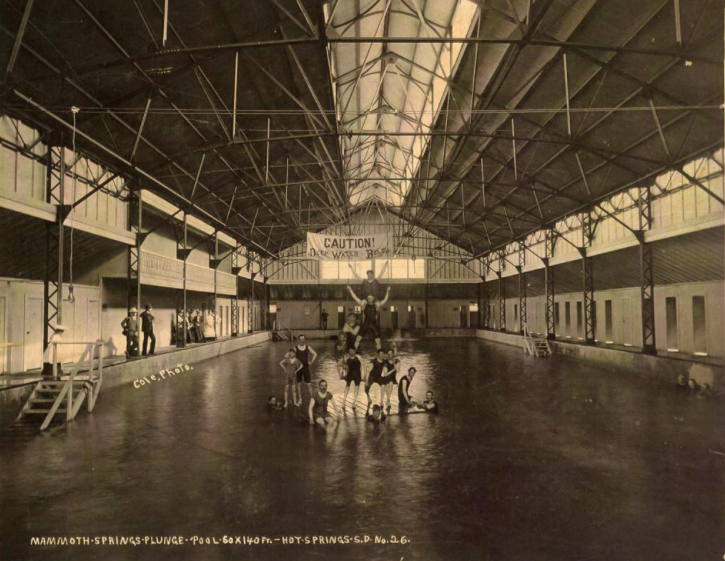 Originally, Evans Plunge and the other mineral baths in Hot Springs were sought as a cure-all for a multitude of illnesses. "They [the springs] were the resort of the Indians long before the white man found his way into the jealously guarded realms of the Black Hills, and were considered by the red man as a panacea for all ills. This water has been found useful in the treatment of chronic diseases of the gastro-intestinal tract, diseases of the liver and biliary passages, and in rheumatism and arthritic joint disturbances, gout, and others." —Mineral Water in the United States by Dr. W.E. Fitch. 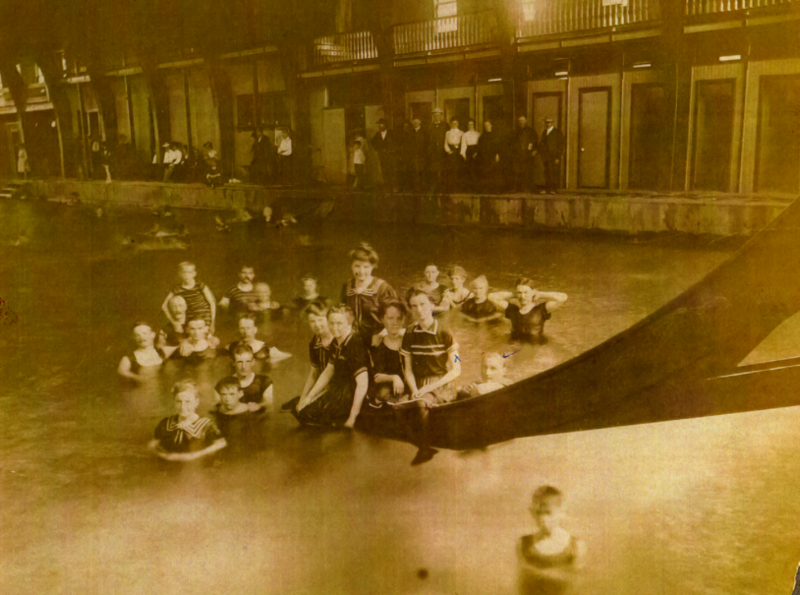 A lot has changed in Hot Springs since 1890. No longer promoted as a cure for ills, the water still invites visitors for rejuvenation, refreshment, relaxation and recreation. 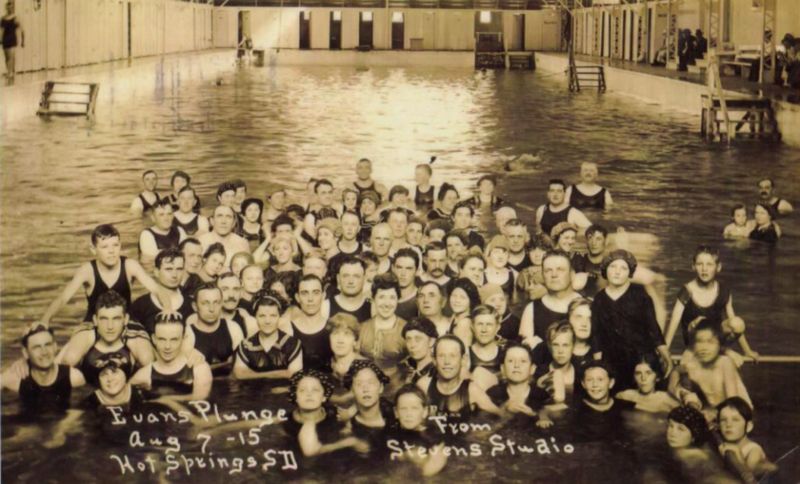 Purchased by the City of Hot Springs in 2013, Evans Plunge is forging a new name for itself by looking to its past. With each day the City of Hot Springs is working diligently to restore Evans Plunge to the iconic tourist destination it has been for over a century. So on behalf of the City of Hot Springs, we invite you to come and experience yesterday's healing waters of today's Evans Plunge.